Sorry, we have a limit of 100 items per order. Please adjust quantities. If you need more than 100 items, please call us at 1-800-627-9577 to speak to a representative about a custom order! Lounge in chic comfort with a pair of limited edition Mary Kay® pajama pants. 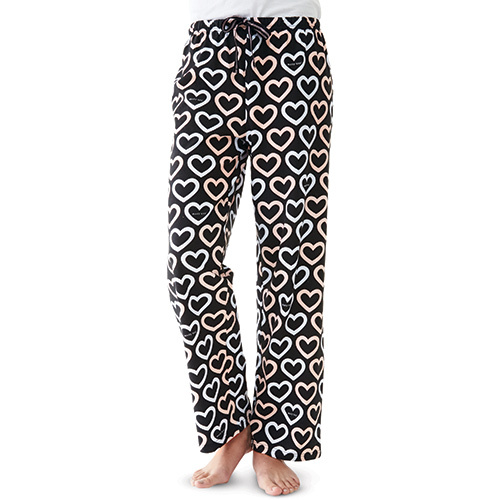 These comfy pajama pants are constructed of 100% cotton with in a fun heart pattern with the Mary Kay logo, and a drawstring waist. Available in sizes XS-3X.